Cooking food on an open fire may sound romantic but in reality breathing smoke and scrounging for fire wood make it not so pleasant. It is estimated that the smoke from cooking fires leads to nearly 2 million premature deaths each year. "save lives, improve livelihoods, empower women, and combat climate change by creating a thriving global market for clean and efficient household cooking solutions." 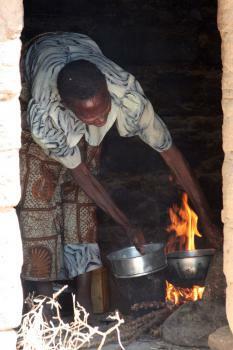 A better burning stove should not be rocket science but several factors should help the Alliance meet their goal of 100 million households converting to clean cookstoves and fuels by 2020.